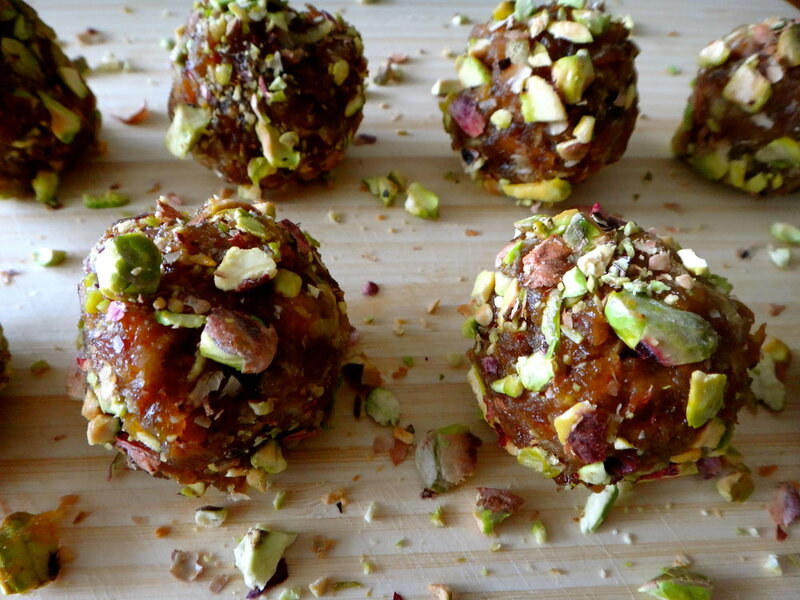 These delicious truffles taste sweet and tangy with a slight nutty flavor from the pistachios. They are very more-ish and its hard to eat just one. The truffles are a highly nutritious snack that are perfect for children's lunch boxes, they are so easy to make and are a perfect introduction to get children involved in the kitchen. You can adapt this recipe by taking out the nuts or adding different dried fruit to the truffles. Chop the apricots into quarters and grate the zest from two lemons. In a food processor blend the apricots, juice of three lemons, zest of two lemons and the desiccated coconut. Blend all ingredients until it forms a thick paste. Roll the mixture into small balls, this recipe makes around 9. The pistachio nuts I used were still in the shell so I had to de shell all the pistachio nuts before using. Crush all the pistachio nuts into smaller pieces, I did this by putting them in a glad bag and pushing down on the bag with a rolling pin. Once the nuts are crushed into smaller pieces place them into a bowl. 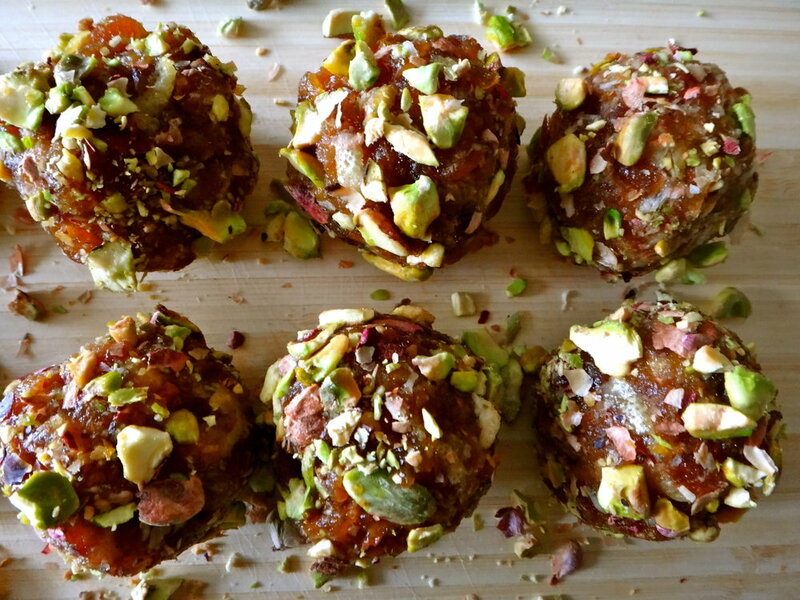 Roll the balls around in the pistachio nuts, make sure they are evenly covered. Place the truffles in the fridge for an hour before serving.